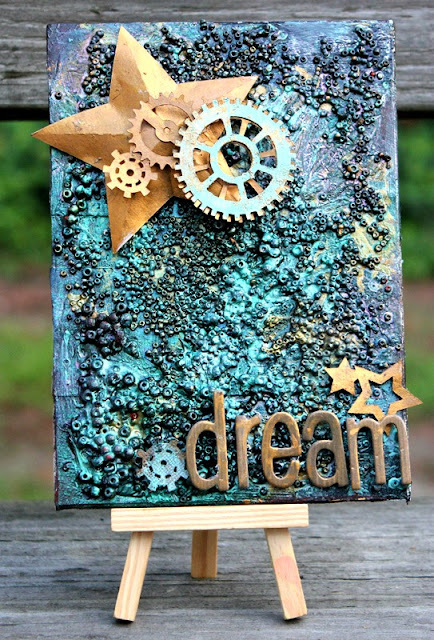 Christina Collins: Mixed Media Steam Punk Painting - "Dream"
Mixed Media Steam Punk Painting - "Dream"
I love how mixed media allows you to express the exact mood your in. Yesterday's project was whimsical, and fun with it's pastel colors. 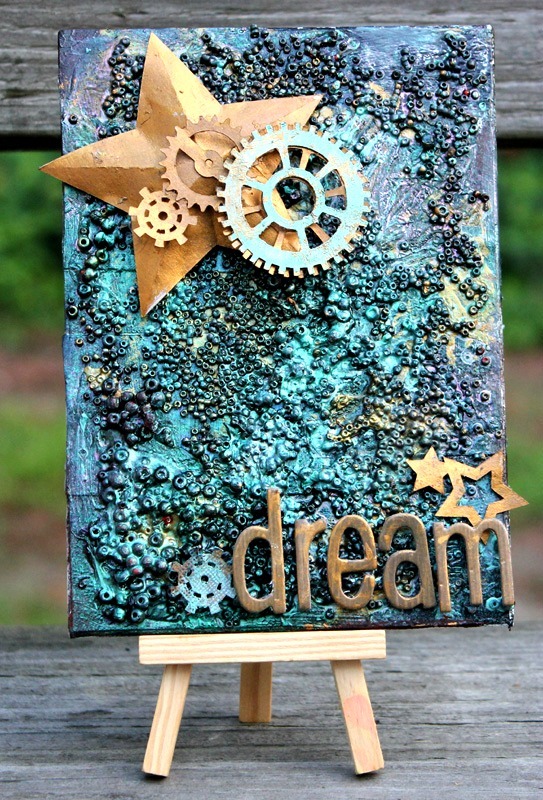 Today's project is magical, and dreamy. I had so much fun putting this canvas together. Isn't that texture amazing? I started by painting my canvas black, and then added a little bit of gold, purple, teal, and blue. Going through my stash, I noticed I had a ton of little glass beads that haven't been touch in years. I added mod podge to the entire canvas, and just dumped the beads onto the canvas! They stuck pretty well - especially after I used the heat gun. I poored paints, all over the beads. I let the paint "goop" up in some areas, and I spread it out in others. I used some of my Heidi Swapp sprays to get that beautiful older copper look. 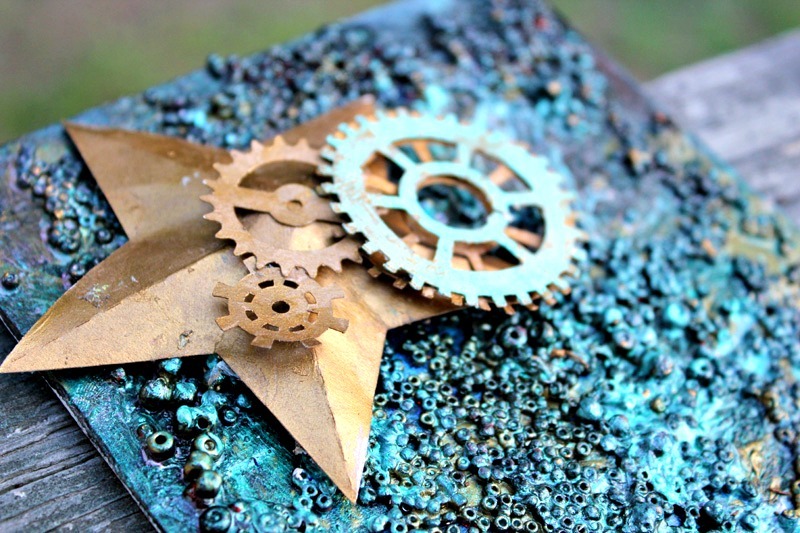 I wanted this paiting to have a steam punk swist to it - so I cut out a few gears and stars using my Silhouette Cameo, and painting them with told and teal. The title is made out of thickers. This canvas ended up being a surprise gift for my hubby, and he loved it. I hope you all loved it just as much! This is great, there is a lot of texture! I love it.